What separate spheres do women and men inhabit, and is there a particular Queensland style? The study of style and dress is not a frivolous or superficial undertaking; clothes are the visible symbol of gender, status, age and often ethnicity. In colonial Queensland various modes of dress denoted whether the person was a well-born lady or gentleman; a poor Irish immigrant; a Japanese prostitute on Thursday Island; a newly arrived Pacific Islander bound for the sugar fields or an itinerant bush worker or miner. Urban European Queenslanders have always followed international western trends while early making some adaptations to the hotter climate. Those in the northern coastal regions increasingly evolved a mode of dress more suited to the climate with fewer layers of clothes, lighter fabric and sun protection. The pith helmet (called the ‘troppo helmet’) was often worn by affluent men as a sign of their power from the 1890s until World War II; the more louche Panama hat never really took off. In the far west areas, American modes, first introduced onto the Victorian goldfields in the 1850s, became the dominant dress, with moleskin and then denim trousers, broad-brimmed felt hats (here Akubras), and by the 1930s the use of R.M. Williams bush boots and work gear. Later it was adapted for women. In more recent years Queensland styles with board shorts, informal cotton shirts and thongs have led a pattern of casual dressing that has moved from the beach to the street. Queensland modes can be determined with some ease from photographs since the formation of the colony. Unlike the stereotype that Queensland was always ‘working man’s paradise’, the rigidity of class was immediately apparent. The first premier, Sir Robert Herbert was the son of an Earl, as was the Hon. Louis Hope, the first major sugar planter at Cleveland. Sir Evan Mackenzie, the owner of Kilcoy station and later premier, often wore his full Scottish chieftain’s outfit. The urban bourgeoisie and artisan class introduced by the stern Presbyterian Dr John Dunmore Lang from 1851-61 wore more subdued clothes. Initially ladies wore crinolines, restricting their movements while servants and farmwomen wore simple tops with sturdy skirts. By the 1870s the bustle, with its elaborate folds and layers, was followed despite the heat and restrictions though ladies began wearing wide brimmed straw hats to protect their complexions from the sun. By the 1890s women began wearing lighter fabrics such as muslin and chambray in pale colours rather than the purples and browns of former years. Brisbane couturiers like Madame Janet Walker, who employed 120 seamstresses and tailors, dressed the fashionable women of Brisbane. By the 1890s fashionable women began wearing skirts with 'leg o’ mutton' sleeves, small hats and a suited ‘costume’ for more formal occasions. Heavy corsets dominated until the 1920s when the garconne look became acceptable. Sarah Jenyns (1865-1952) operated a successful modern corset and underwear business form her showrooms in George Street, Brisbane. The parasol was the symbol of lady-like status though this was challenged when worker’s advocate and feint, Emma Miller used her umbrella as a weapon in the 1912 General Strike in Brisbane. Gentlemen in the 1850s began, in the fashion of Prince Albert, to wear facial hair and moved from the tight trousers of the Regency and early Victorian period to the sombre frock coat and top hat. Affluent sugar planters often shocked observers like Charles Eden with the informality of their dress, with no coats, loose cotton shirts and straw hats. Wealthy squatters often wore high riding boots, long coats and sturdy hats while working men appeared in moleskins, Crimea striped and spotted shirts with no collar or coat. 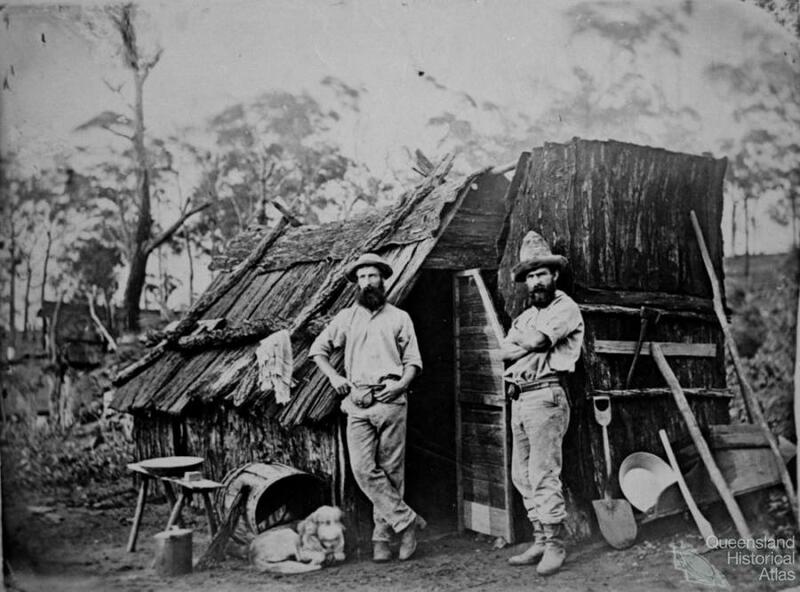 Photographer Richard Daintree captured Cape River miners in 1872 wearing 'sugarloaf' conical hats. 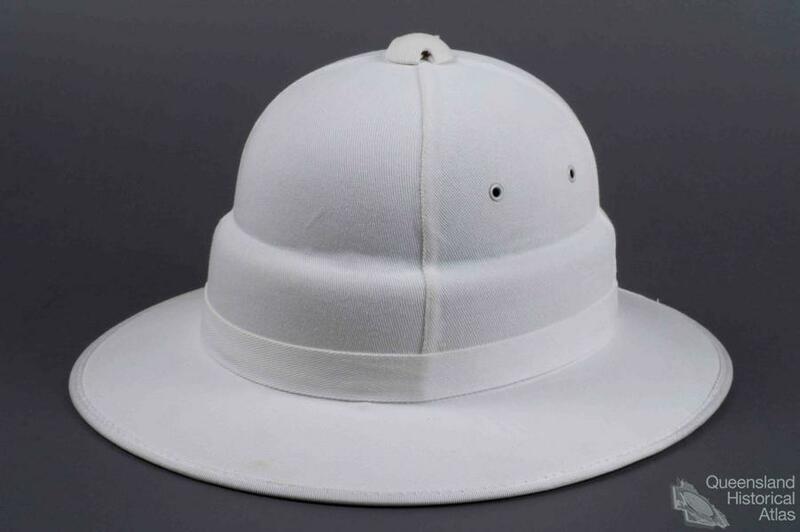 From the 1860s they added a layer of muslin at the back of their hats to protect their necks form the tropical sun. Later in the century workingmen had a suit for their ‘best’ clothes after the suit became a universal mode of dress for men in the 1880s. In the northern and western regions, Chinese men wore their quoins and loose peasant clothes with ‘coolie’ hats. On the sugar fields and in the pearling industry Japanese men wore their traditional workers’ clothing. Afghan camel drivers wore white working class men’s clothes but for the addition of a turban. On the other hand the Indigenous peoples and the Pacific Islanders rapidly adopted western clothes, though of a poor quality. Melanesians were photographed in suits on their departure back to the islands. In the twentieth century many Indigenous men adopted the ‘country and western’ look, particularly when employed as drovers. Though Queenslanders were not caught up in the hedonism of the 1920s they began to appreciate the convenience of modern international styles. Hollywood glamour was an inspiration few women could afford to wear. World War II marked a turning point with the acceptance of women in trousers and slacks, though mainly until the 1970s for informal occasions or farm work. Jeans, originally for American miners and poor rural working people, by the 1950s saw the further influence of American fashion. Today jeans are international fashion worn by rich and poor alike. Only the accessories indicate wealth and status. The 1950s saw the development of Queensland’s contribution to international modes of dress. The Gold Coast contained several important designers of the more casual style of resort wear in the Palm Beach and Amalfi Coast styles, Palazzo pants and swimwear. Beverley and Paula Stafford dressed celebrities like Sammy Davis Jr and Frank Sinatra. Fur bikinis were a symbol of impractical luxury. In the 1960s board shorts and tops moved form the beach to the street. Thongs took the appalling move from the beach to everyday use, making Queenslanders often look like poverty-stricken yokels. Meter Maids in their gold bikinis and high heels became the symbol of hedonistic Gold Coast styles. 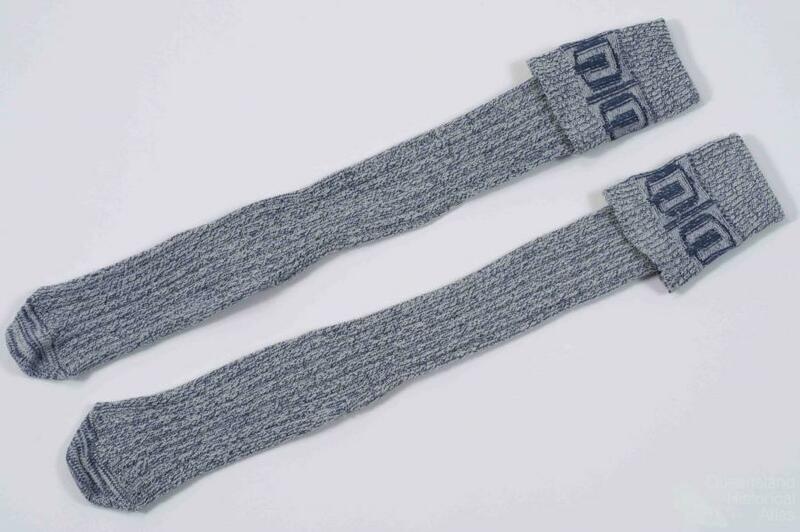 Queensland has produced several international fashionable brands of clothing. Easton Pearson, with their elaborate beading and hand-sewn embroidery, return to the days of luxury while Sass and Bide cater to the slick ‘bad girl’ look of modern young women celebrities. Billabong beachwear and casual clothing caters for people of all ages and reinforces the blurring of gender, age and status distinctions in modern clothing. Governor General Quentin Bryce and Premier Anna Bligh favour the well-tailored elegant look of monochrome feminine suits and very high heels.